Don’t do anything for your spouse that you don’t want to be doing the rest of your life. I say, easier said than done! Now I’m not just talking about the hi honeys, or I love you honeys, or how were the kids/work today? I’m talking about the communication that goes inside of each of us. Feelings that we may hide or thoughts that aren’t spoken out loud. As human beings we tend to put on a good face for whatever reason. This at times is a good thing. 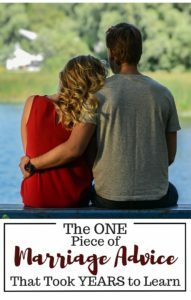 I love the phrase, “fake it til you make it”, but when it comes to your spouse I believe you should have the “communicate before it’s too late”, or “say it, don’t delay it” phrases going on! 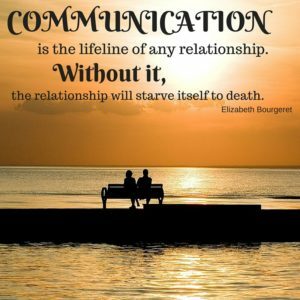 Here are a 3 quotes that I love that describe the importance of communication! This is not any easy thing to do. Isn’t it easier to go through the daily motions and just live under the same roof? 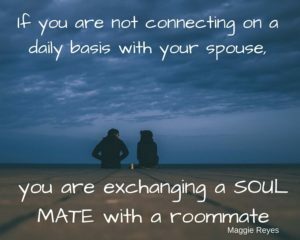 Just like the quote above said, “……you are exchanging a SOUL MATE for a roommate!” Don’t do this! Make your marriage count, make it beautiful and communicate! 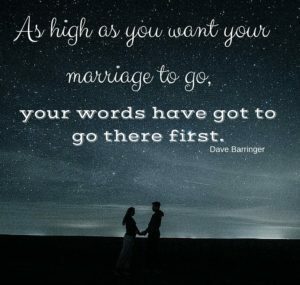 One way that has helped my husband and I work towards this is asking the question, “What was your HIGH-LOW?”. It’s a simple question, but requires a non traditional answer. You can’t respond with just, “good”, or “crazy!” It requires you to think and express the myriad of feelings you had that day. 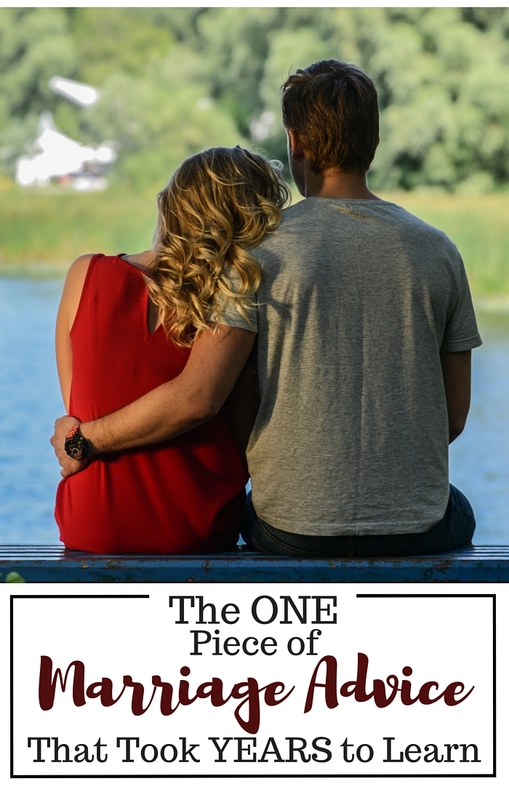 Not only should you be interested in the high moments of your spouses life, but the low moments as well. We have also done this as a family during dinner time. It is always interesting to hear the high-low of each of our kids. It gets your kids thinking about their day; what they liked and what they didn’t like. What was your HIGH-LOW today?